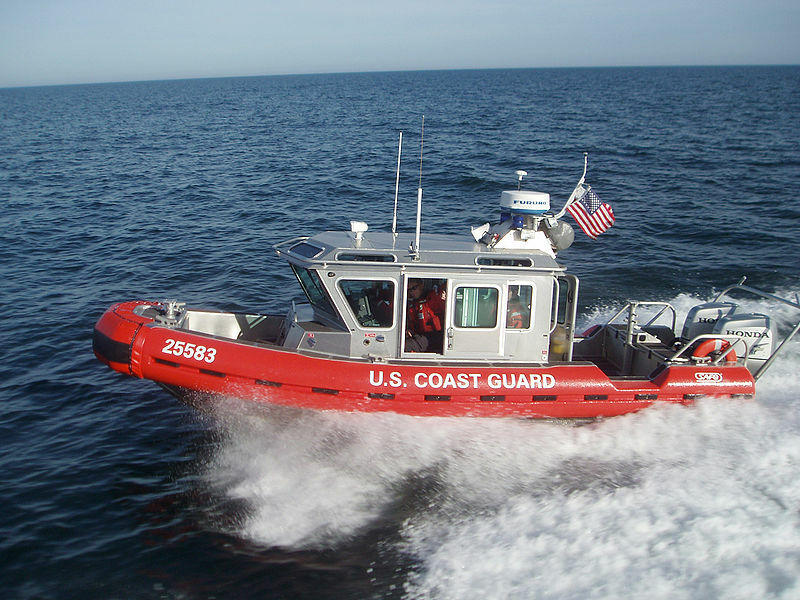 TITUSVILLE, Florida - The U.S. Coast Guard rescued two boaters Wednesday night after their vessel caught fire on the Indian River near Titusville, Florida. Coast Guard Sector Jacksonville Command Center watchstanders were notified via VHF-FM marine-band radio channel 16 at 10:09 p.m. from two boaters who stated that they were awakened by smoke and their 48-foot catamaran was on fire. A 29-foot Response Boat – Small (RBS) crew launched from Port Canaveral, Florida at 10:10 p.m. While the RBS crew was en route, the boaters radioed that they were abandoning ship and evacuating into their dinghy. The RBS crew arrived on scene at about 10:25 p.m. and transferred the boaters to Marina Park where Titusville Fire Rescue crews were waiting. The boaters were taken to Parrish Medical Center by fire rescue crews and were listed in stable condition. The cause of the fire is under investigation.